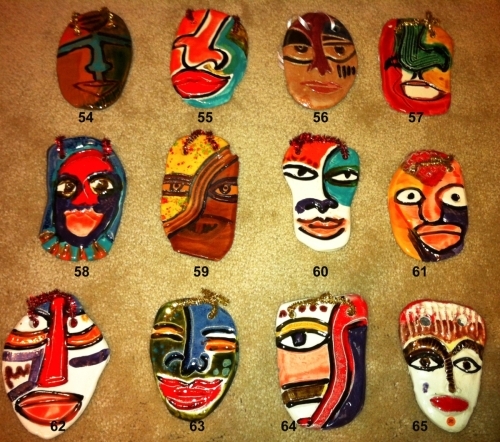 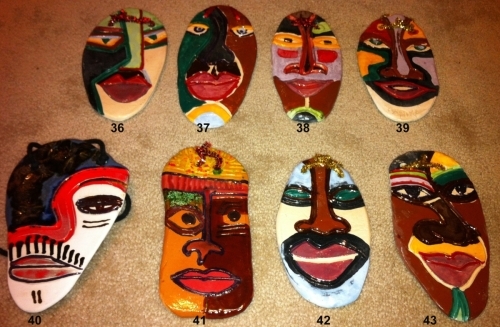 These face design wearable art pendant necklaces are hand-carved out of clay, hand-painted with hopeful colors, and shipped with a ribbon strap. 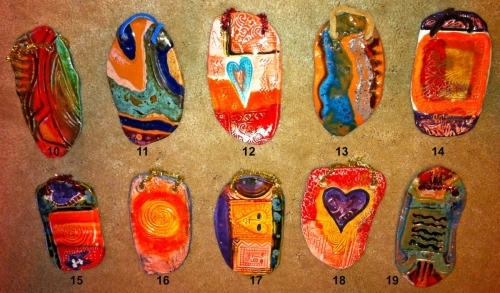 These abstract design wearable art pendant necklaces are hand-carved out of clay, hand-painted with hopeful colors, and shipped with a ribbon strap. 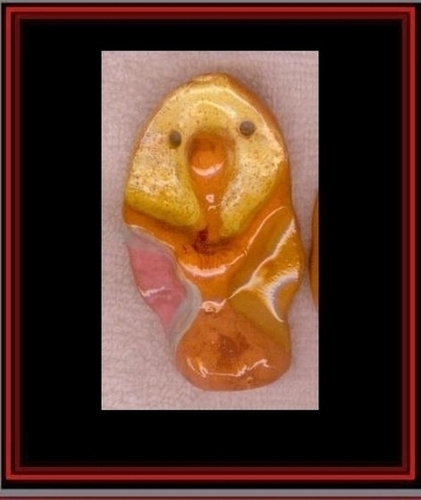 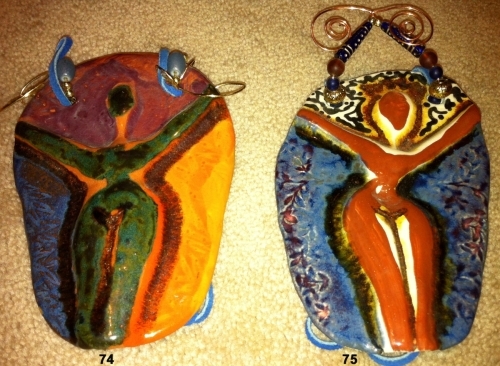 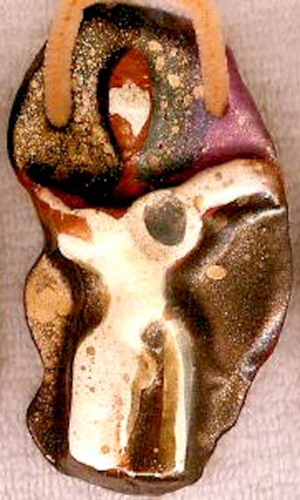 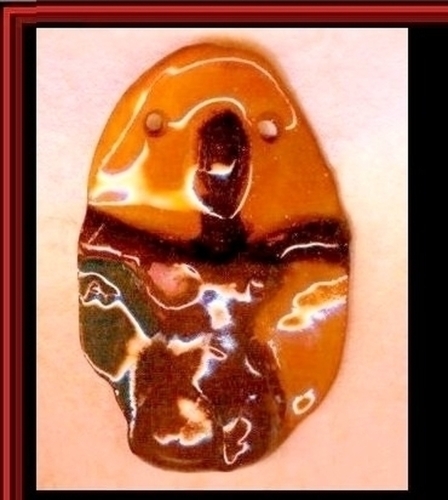 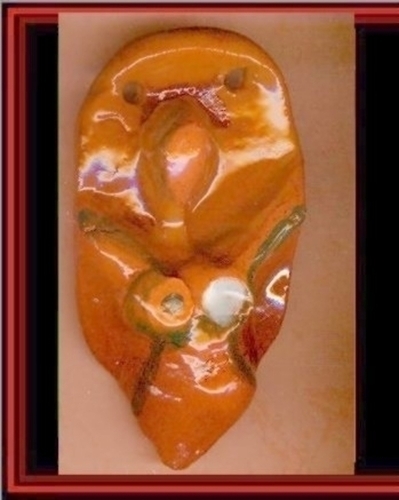 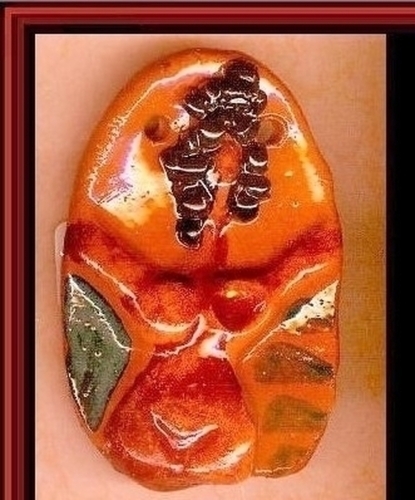 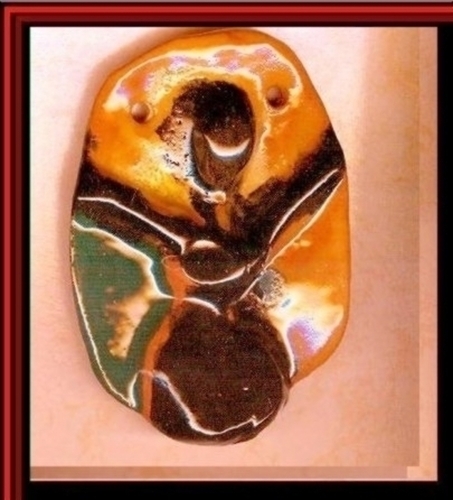 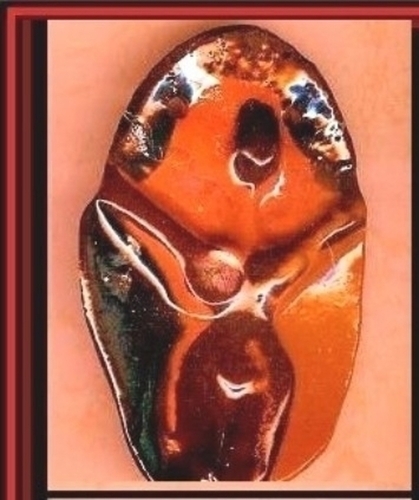 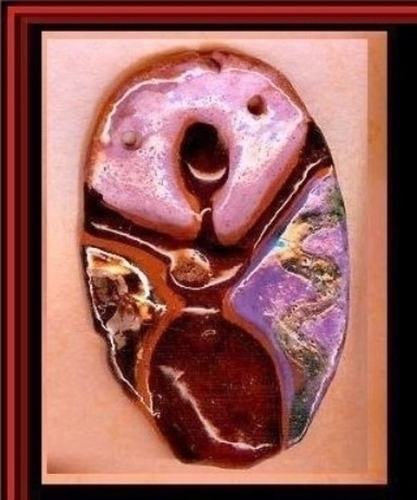 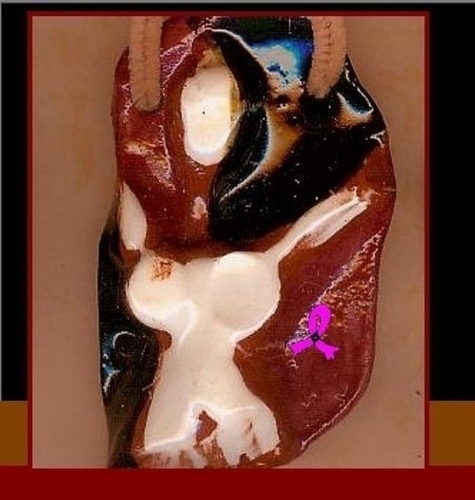 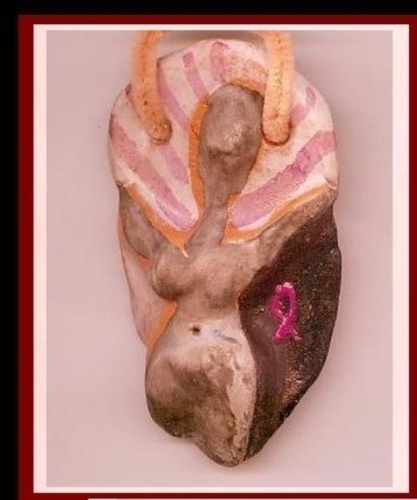 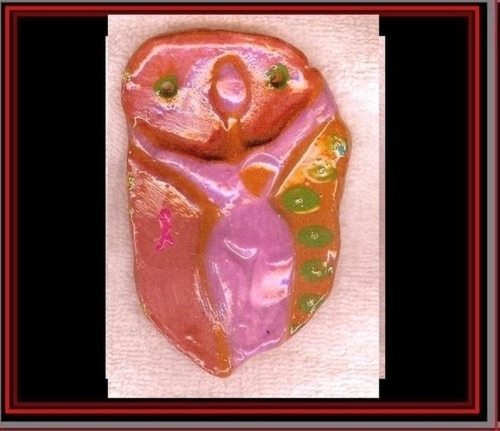 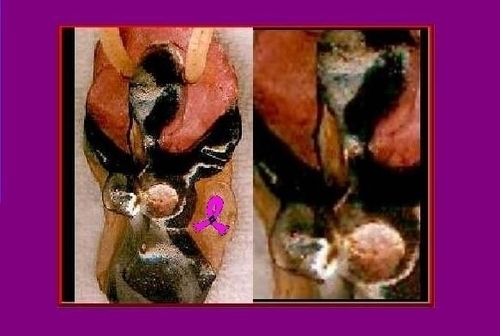 Clay woman pendant with one breast. 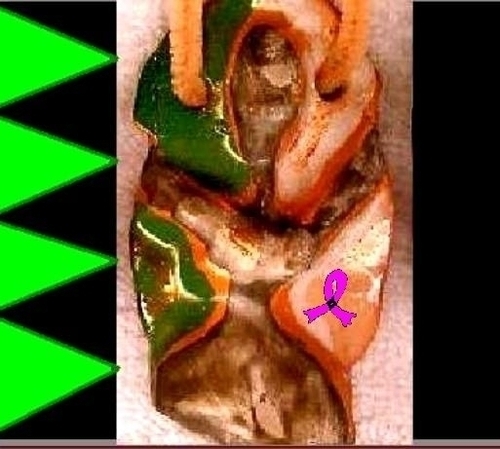 All pendants come with a ribbon or leather strap. 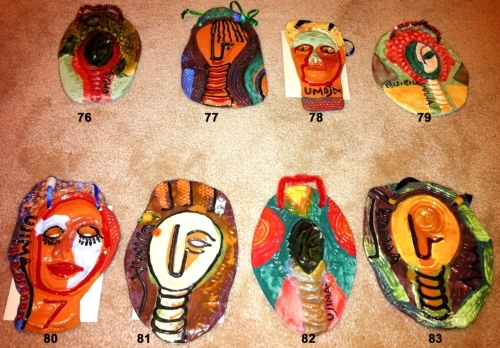 Clay Hair Barrettes - 3"
Wearable art never looked so good! 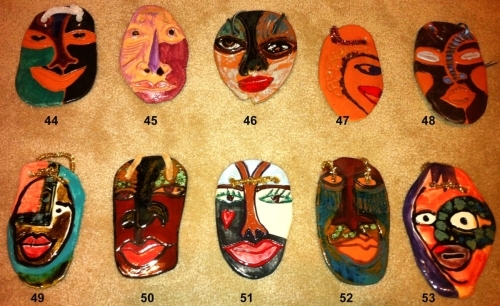 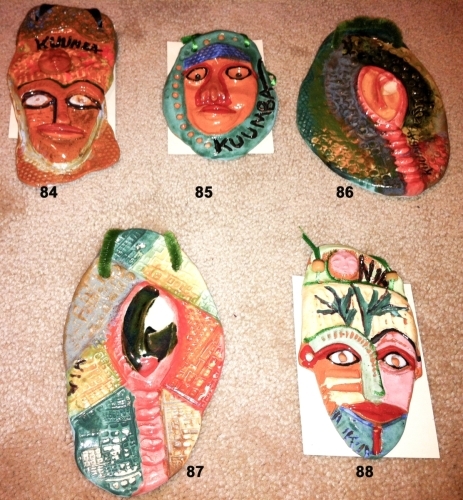 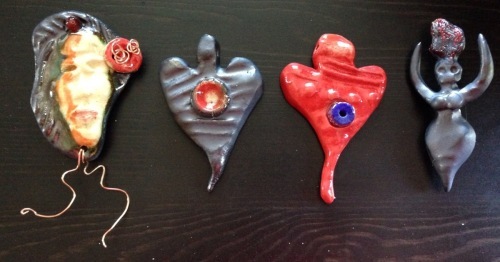 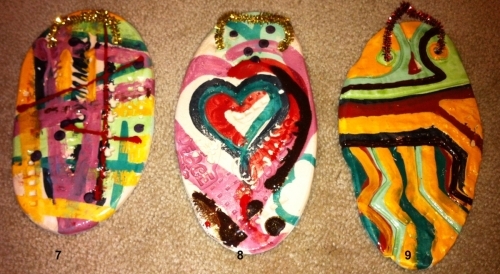 Each pin is a one-of-a-kind piece of ceramic art backed by a strong pin. 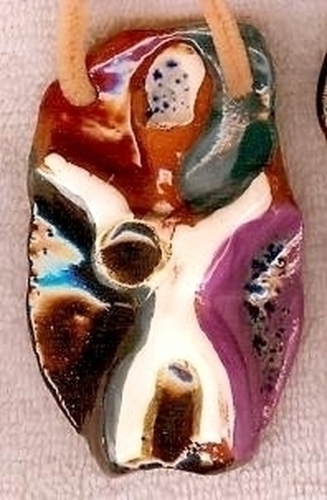 Great for decorating jacket lapels, hats, belts, or purses. 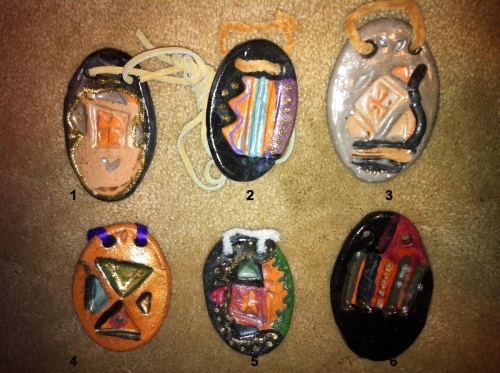 Wearable ceramic art pins will make you the talk of the town, whether you wear them on your jacket lapel, hat, belt, or purse. 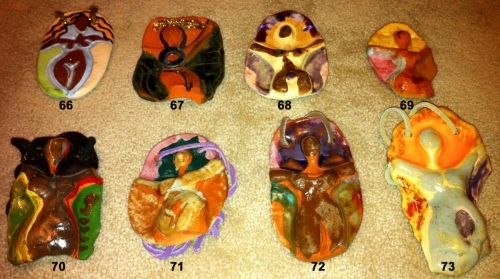 Each is backed with a strong pin clasp.